Did you see Attack the Block? 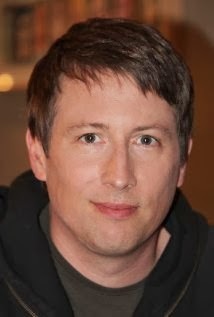 According to JoBlo, Paramount is supposedly interested in getting that film’s director - Joe Cornish - to direct Star Trek 3. This could be an interesting choice. I honestly haven’t thought much about Attack the Block since I watched it but it was a decent film. Cornish clearly has an interest in sci-fi so Trek fans can probably breathe a small sigh of relief for now. 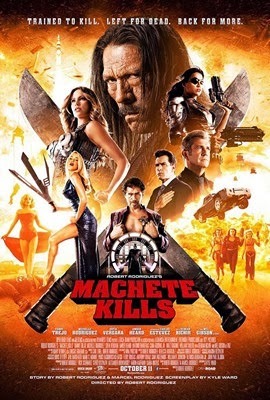 A little ways back I stopped by the LAMBCast again to participate in their Machete Kills episode. I talked helicopter kills and questionable sci-fi with Jay, Pat, Fredo, and Will. Give ‘er a listen. I’ve got a new post over on French Toast Sunday and it’s all about Thor. Go check it out! I watched a few horror movies last month for the Halloween season but I - like always - wish I had watched more. Check out my list below. The Exorcism of Emily Rose - Only the second time I’ve seen this. Holds up pretty well. Stir of Echoes - Classic. Never get tired of it. Curse of Chucky - .....meh. Night of the Living Dead (Rifftrax Live) - Pretty fun live show. Halloween 3 - Listened to the How Did This Get Made? folks make fun of it and had to watch again. Evil Dead 2 - Dressed as Ash this year for Halloween so I had to watch this again. Still amazing. The Conjuring - Watched this the morning after my Halloween party. It was still scary as f*ck. Hocus Pocus - I’ll be watching this for years to come. Probably the funnest flick about Halloween. The Possession - This was surprisingly good and creepy. Guy who looked like Matisyahu turned out to be Matisyahu. Behind the Mask: The Rise of Leslie Vernon - Showed this to a few friends who had never seen it before. Mixed results. I still love it. I want a sequel!!! Jaws 3 - Pretty terrible movie. Here’s an interesting trailer (via Arrow in the Head) for All Cheerleaders Die, a horror flick I really haven’t heard much about. It looks pretty cool though! It was directed by Lucky McKee (anyone seen The Woman?). I am going to see The Royal Tenenbaums --my favorite movie -- on the big screen for the first time tonight. Pumped. Ms. Hayes wrote an awesome piece about The Royal Tenenbaums a little while back. Check it out here. Apparently the fact that Community is coming back on January 2nd is old news! But I'm still stoked! Well, guess I'm sticking with Netflix. CT from Nerd Lunch on (I think) the news that Netflix will be producing TV shows for Marvel.